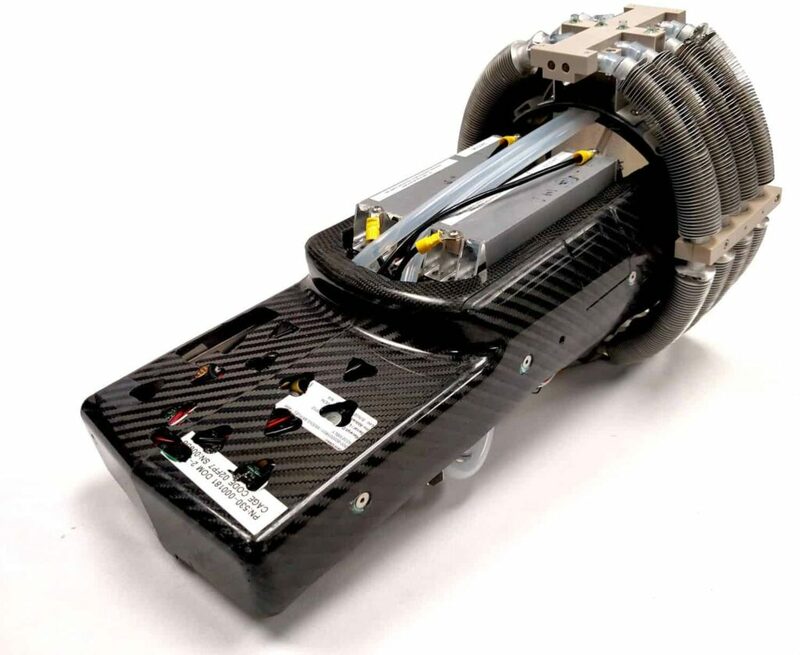 Ballard Power Systems is a global provider of innovative clean energy solutions and a recognised leader in proton exchange membrane (PEM) fuel cell technologies. We provide customers with both off-the-shelf power products and customized technology solutions based around our proprietary fuel cell stacks. 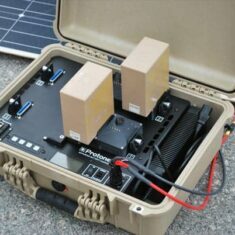 Our Protonex subsidiary focuses on providing advanced fuel cell power solutions in the 100 to 1,000-watt range for portable, remote and mobile applications such as unmanned aircraft and other autonomous vehicles, as well as portable charging solutions. 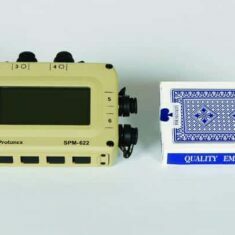 Protonex technologies are ideally suited for the power requirements of a wide range of applications in military, commercial and consumer markets. 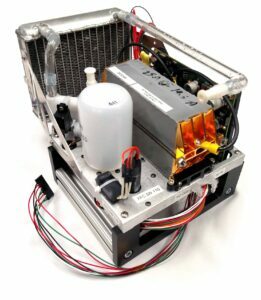 Protonex fuel cell propulsion systems provide a powerful alternative to small internal combustion engines for unmanned aerial vehicles (UAVs), offering improved reliability as well as very low heat and noise signatures. Further advantages include significant improvement in the expected MTBF (mean time between failure) of up to 5x, and 100% throttle flexibility including mid-air start-stop capability. Protonex PEM fuel cell propulsion modules have been demonstrated on Insitu’s highly successful ScanEagle UAV platform, which is utilised worldwide in a variety of civilian and military roles, and integration of the system into the ScanEagle is ongoing. 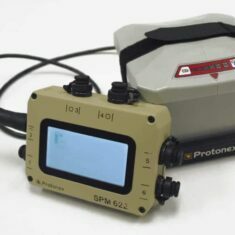 Protonex fuel cell systems are also ideal for deployment in ground- and marine-based unmanned vehicles in a wide range of surveying and monitoring applications. 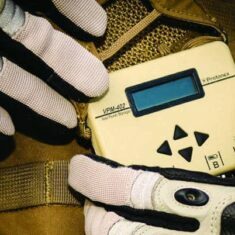 Designated as EAR99 (Export Administration Regulations 99) compliant, the systems can benefit civilian commercial customers as well as military equipment manufacturers. 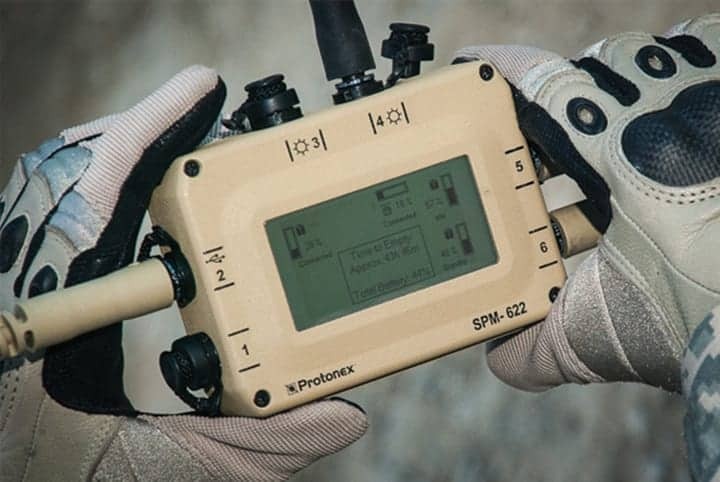 Protonex has developed charging solutions that address the challenges of keeping civilian and military unmanned vehicles – from ground-based tracked robots to unmanned aerial systems – powered in demanding and often remote environments. The Advanced Battery Charger (ABC) provides a small, lightweight and rapid off-the-shelf solution to recharging batteries. 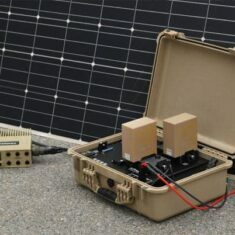 It senses the input power available, whether from a 28V military or 12V civilian source, or a portable solar panel, and automatically adjusts charge rates. 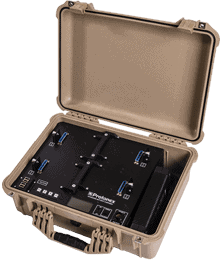 Four universal power bays permit versatile charging of a wide variety of military and commercial batteries, and four USB power ports are provided for charging cameras, phones, and other small devices. A graphical display shows charge status and battery health. 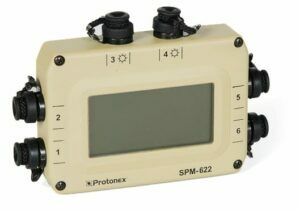 The SPM-622 is a lightweight, compact, and rugged intelligent power management solution designed to withstand the harsh environments of military field use. 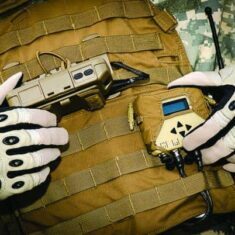 It directly powers virtually any man-packable military equipment, efficiently harvesting power from solar panels, primary batteries, automobile batteries and other found power sources. Six universal power ports permit simultaneous powering of devices and charging of up to five batteries. 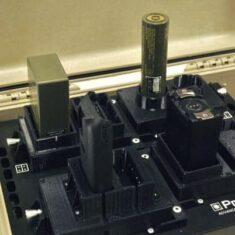 Two of these ports can power equipment at independently configurable 3–34 VDC, and a further three can power additional devices at nominal battery voltage. 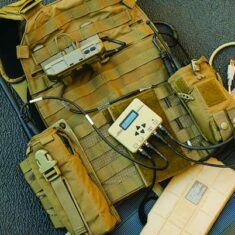 The VPM-402 (Vest Power Manager) is a man-worn, lightweight, rugged power system that reduces the variety and number of batteries carried by warfighters during dismounted missions. 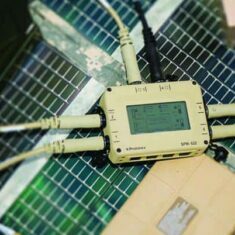 It manages and utilizes any power source for commonly used military devices and recharges a wide range of military and commercial batteries. Four universal power ports permit simultaneous powering of devices and charging of up to two batteries. One of these ports can power equipment at independently configurable 3–34 VDC, and a further two can power additional devices at nominal battery voltage or at 5VDC (USB). By submitting this form, you consent for your details to be sent to Ballard Power Systems and its authorized partners in order to respond to your inquiry. Depending on the location of the organization, your personal information may be transferred and processed outside of the European Economic Area.